Cros sheads are a great way increase curb appeal and to provide visual improvement to window and door casings and can be used inside or outside. 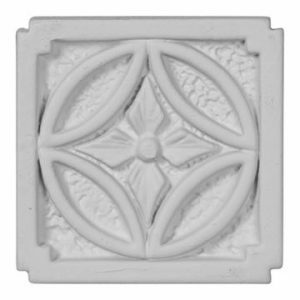 They are often used in conjunction with other architectural trim items like pilasters to add impressive artistic design features to your home. Van Dyke’s Restorers offers a new line of polyurethane crossheads that are extremely durable and are weather and insect resistant. These lightweight trim pieces are easily installed with construction adhesives or small nails or screws. 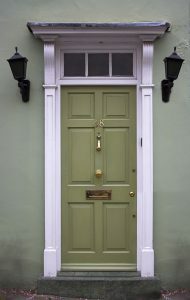 Keystones are often added to a crosshead to further enhance the look of the design by adding dimension and character to the crosshea d. They are offered in several sizes to fit the crosshead. 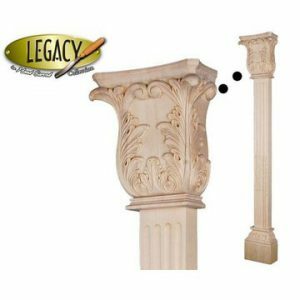 Pilasters are a flat column used in classical architecture that gives the appearance of supporting a structure but are usually ornamental in function. They are placed on the sides of doors and windows and are often used with crossheads. Pilasters can have a plain or fluted front and are usually topped with a capital. Dating back to Greek and Roman architecture, pilasters saw a revival during the Renaissance and Baroque periods of architecture. Van Dyke’s offers both wood and urethane pilasters. From the Latin word “caput” meaning head, the capital is the topmost part of a column or pilaster. The three forms of capitals used by the Greeks are Doric, Ionic and Corinthian. Originally used for load-bearing, today, capitals are primarily used for decorative purposes. Another common decorative element used when trimming doors is the plinth block . The traditional plinth block is the foundation for a pilaster or column. While it has no load bearing function, it should appear to be a part of the column or pilaster. Pilasters come in many styles and sizes to suit any size trim and are available in wood or polyurethane. Adding just a few of these items can totally change the look of your home. Start small and add more as the budget allows.